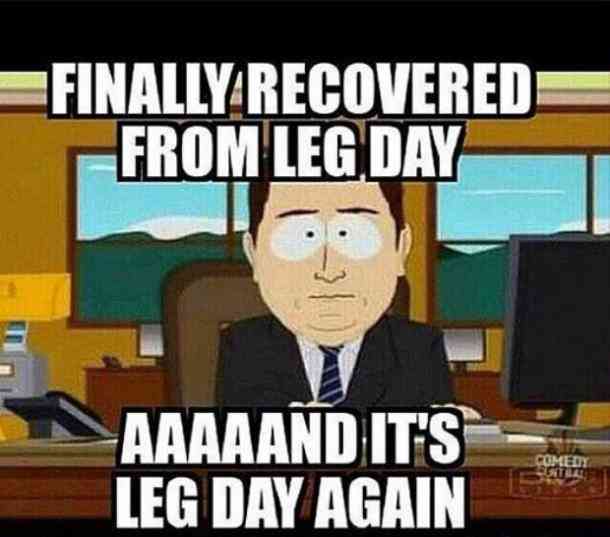 I decided to skip the hard cardio today, my legs are still singing to me after yesterday's leg press marathon. I may hit cardio after chest tomorrow if I'm not too hung over after tonight. Yeah, cardio didn't happen. But got a good chestie in. Back and cardio on deck. Will I do the cardio this time? We shall see. Lots of energy today, see below as to why I'm not still lifting now. I wanted to do some dumbbell rows, but my chest started cramping. 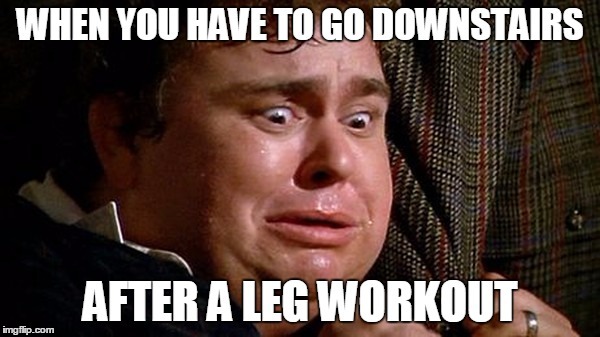 That happens to me sometimes after an intense back workout, even more so if I've had a good chest workout the day before. It was cramping bad enough today that I had to quit during my last set of cable rows. Aaaaand I'm relatively crippled for the next couple days. Feel like Evander Holyfield punched me in each quad. Twice. Legs, it’s all I’ve got. My legs were super pumped on the ride home. Those lunges are killer at the end, Bob, I guess that's why I rarely do them. When I do presses first, I go with the low placement then. And my present State of Mind, you ask?? Although up is worse for me. Need to get up early and do back...working early in the afternoon and can't train Saturday. have a memorial to attend. Got a good back workout in, makes it easier to take a day off mentally after good leg, chest and back days. Yeah, a day off is good. Today was my day off for my friend's memorial service. Back tomorrow for shoulders and arms. How did the arm workout feel, Bob? Definitely weaker in the left tri from the pinched nerve. That’s why I’m stuck doing those same exercises. The pushdowns on the cable aren’t bad. Was doing more weight than I expected. The tri machine I had to go lighter. Slowed down my reps on the bi’s for a good time under tension. Feeling it today. Me too. Going in tonight to hit them up. I went about 15% lighter today....didn't up the reps, just went deeper an slower (phrasing) and really tried to spread the burn. Also started adding a bit of carbs back in today as my core is good and I'm a little leaner than I'd like, so mix of berries and melon with my regular Keto meal after the lift. Oh, and it feels like Conor McGregor kicked me in each quad right now.